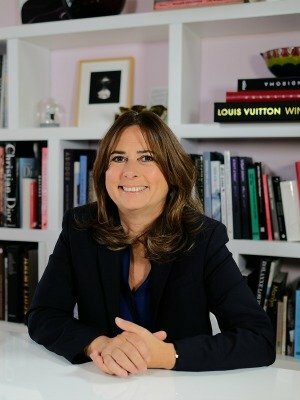 Alexandra Shulman, editor-in-chief of British Vogue for over 25 years, has announced today that she will be stepping down from the role later this year. Nicholas Coleridge, managing director of Condé Nast Britain said today on vogue.co.uk: "Alex has been the longest serving and most successful editor of Vogue in its 100-year history. She has edited the title for a quarter of its existence, through its period of highest ever circulation, and its simultaneous transformation into a global digital brand. She has been the towering figure of the British fashion press throughout her tenure: a superb journalist and editor, who understands and exemplifies every quality. Imaginative, hard-working, perceptive and a brilliant leader, Alex is also a valued friend to so many of us. It is impossible to sufficiently express the contribution she has made to Vogue, to Condé Nast and to the British fashion industry." With this brief in mind, Genesis went on to interview 100 major contributors to Vogue over the century, the first time so many important voices from the magazine have been presented together. Alongside this entirely new text are over 400 photographs, illustrations, covers and spreads from the publication's 100-year history. Alex Shulman, who has signed all copies in the edition, was involved in every step of the book�s production and her numerous quotes within the book�s text are now a lasting and valuable record of her significant contribution to the magazine�s history. To own your piece of Vogue history, order VOGUE � VOICE OF A CENTURY today.